What conditions does Cartia XT treat? Tell your doctor right away if you have any serious side effects, including: fainting, slow/irregular/pounding/fast heartbeat, swelling ankles/feet, shortness of breath, unusual tiredness, unexplained/sudden weight gain, mental/mood changes (such as depression, agitation), unusual dreams, severe stomach/abdominal pain, dark urine, persistent nausea/vomiting, yellowing eyes/skin. List Cartia XT side effects by likelihood and severity. Before using this medication, tell your doctor or pharmacist your medical history, especially of: certain types of heart rhythm problems (such as sick sinus syndrome/atrioventricular block), liver disease, kidney disease, heart failure. What should I know regarding pregnancy, nursing and administering Cartia XT to children or the elderly? Does Cartia XT interact with other medications? Should I avoid certain foods while taking Cartia XT? 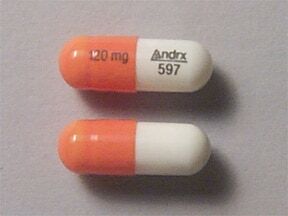 This medicine is a orange white, oblong, capsule imprinted with "120 mg" and "Andrx 597". 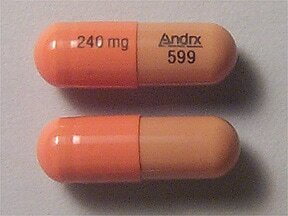 This medicine is a orange light brown, oblong, capsule imprinted with "240 mg" and "Andrx 599". 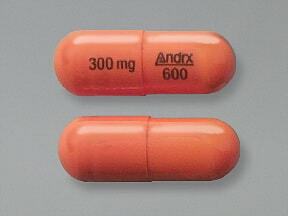 This medicine is a orange, oblong, capsule imprinted with "300 mg" and "Andrx 600". 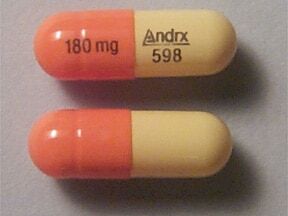 This medicine is a yellow orange, oblong, capsule imprinted with "180 mg" and "Andrx 598". Are you taking Cartia XT? Are you considering switching to Cartia XT? How long have you been taking Cartia XT?